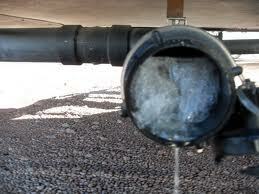 Frozen sewer pipe repair in nj is needed every winter. Here in New Jersey, the winter cold brings a new risk for your sewer and drain pipe lines: frozen pipes. 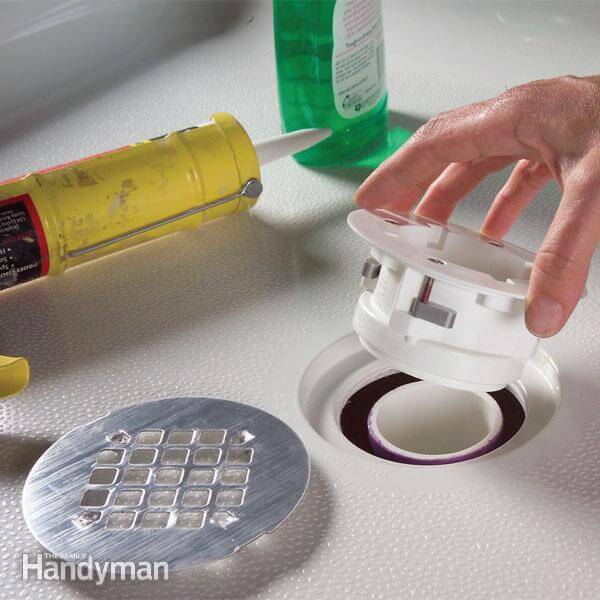 Just like plumbing pipes in exposed areas of your home or near exterior walls, frozen sewer lines and outdoor drain lines are a serious risk during the winter. Although the soil above it gives your sewer line some degree of insulation from the cold above, the water inside can still be prone to freezing. Frozen water inside the sewer pipes can turn solid, which obstructs water flow and can sometimes crack or break the sewer pipes themselves. If you suspect that you may have a frozen sewer or drain pipe, you should call a local NJ sewer repair company as soon as possible. The ice may have caused damage to the pipe itself, meaning you may need pipe lining or other repairs after the pipe has been thawed. Sewer repair for frozen sewer pipes in NJ is approached slightly differently than frozen pipe repair for indoor plumbing pipes, as your sewer line is buried underground. The process often begins with hydro jetting, a technique also used for sewer cleaning. The high pressure water jet will thaw out the ice in front of it, and as it’s gradually moved down the now-thawed sewer line, it will melt all the ice. After the frozen sewer pipe has been thawed, NJ contractors may use a sewer inspection camera system to examine the inside of the pipe for damage. Because water expands when it freezes, the outward pressure of the water against the surface of the pipe can cause it to crack or burst. Because of this, you may need some form of emergency sewer repair. For cracked pipes, trenchless pipe lining can often patch up the damage to stop leakage and restore normal water flow. For burst or severely damaged pipes, sewer repair contractors may need to use other methods like pipe bursting. 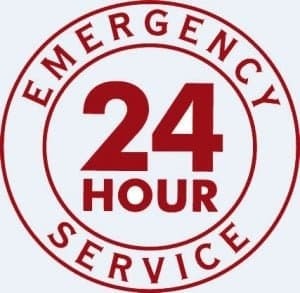 Call us for emergency sewer repair service in nj if you have a burst plumbing pipe at any time at 201-645-0888. Winterization and prevention can help stop sewer pipes, drain pipes, and septic tank pipes from freezing during the winter in NJ. Sewer contractors can install heating systems and insulation for sewer pipes that are particularly prone to freezing during the winter. Like sewer and drain pipes, septic system pipes in NJ can also be prone to freezing on cold winter nights. Septic system pipes are most likely to freeze in certain conditions, including dry soil, cold air temperature, and a lack of insulating snow cover. 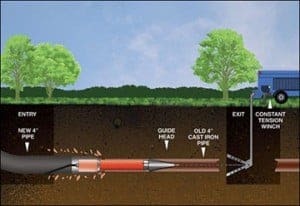 Pipes that exit to a septic system through a basement wall on the north or west sides of a house are known to be particularly prone to freezing. Running water holds a significant amount of heat, so septic tank pipes are at the highest risk of freezing when you’re out of town. Homeowners can prevent frozen septic pipes by placing insulating material over the tank and the pipes near the tank, fixing any pipe leaks, and avoiding driving vehicles over the snow on top of the drain pipes– compacted snow doesn’t insulate as well as fresh snow. 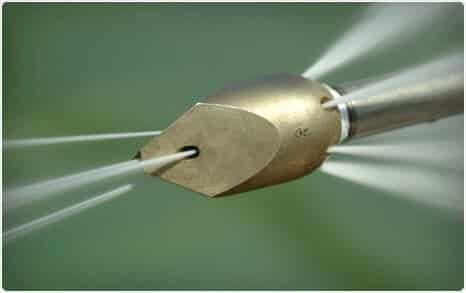 To find out more about drain repair and sewer repair service in NJ for frozen sewer lines, frozen drain pipes, and frozen septic pipes, call us any time at A1 Sewer & Drain, at 201-645-0888.